Listen Like a Lawyer is a fan of several lawyers who write and blog in ways that touch on listening skills, including but not limited to* Jeena Cho, Keith Lee, Lee Rosen, and Pam Woldow. Another highly, highly recommended blog resource on listening and lawyering is this six-part series from Mark Perlmutter on Trebuchet Legal. And then there is Kenneth Grady, who writes at Seytlines (for Seyfarth Shaw) and often on Medium. His Medium post today, 5 Reasons to Become a Doctor Dolittle of Lawyer-Client Communications, should be read by any lawyer who interacts with business clients in any way. Let me repeat that: if you are a lawyer and you ever deal with any client that runs a business, works for a business, or has a background or connection remotely related to business, read this post. Years ago when I was a summer associate in my first week at a firm, my partner mentor shared the same advice he gave to all new and aspiring attorneys at the time: take more business classes. Now almost 20 years later, Ken’s post updates and magnifies this sentiment, pointing out that the gulf between attorneys and business clients has widened into an even broader gap. And it’s not something one class (or CLE, or blog post) can fix. It’s a cultural chasm, and those who bridge it will succeed. One thing I really like about Ken’s post is how it presents real-world situations for lawyers to understand the more abstract yet crucial lessons of Daniel Kahneman’s Thinking, Fast and Slow. (This book popularized the finding that Israeli parole judges made different decisions depending on whether they were about to eat lunch, or had just eaten lunch.) 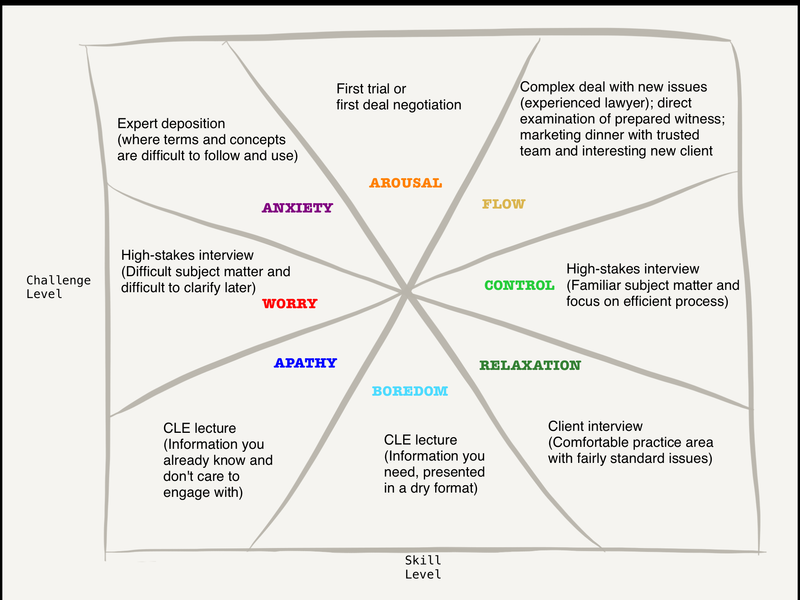 Are lawyers guilty of retreating to their legal comfort zone? Do lawyers give easy answers to the wrong questions? Trying to understand a client’s real business issue, explore options, and perhaps create new options is certainly more difficult than quickly selecting and suggesting a commonplace legal approach. One manager approached me with a request that our company immediately bring a lawsuit against a business partner for breaching a contract. Rather than discussing the lawsuit, we talked about the contract and the relationship. After a long conversation, the client opened up and explained that he had misread the contract years ago and had been overpaying the other party to the contract. The business person on the other side came into the relationship after the contract had been signed and just accepted the payments without checking the contract. After investigating a bit further, I called the general counsel of the other party and we were able to work out a solution fairly quickly. This short list was not meant to be exhaustive; please share suggestions on other bloggers who consistently touch on communication issues for lawyers.